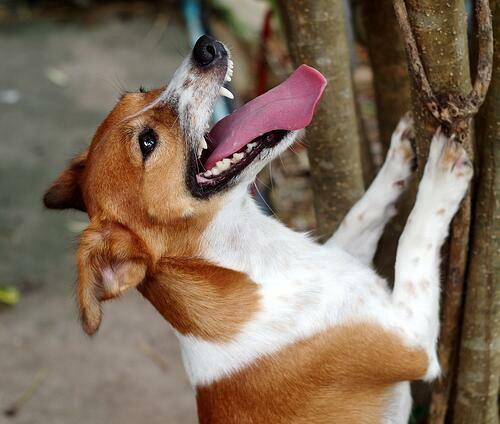 Are you barking up the wrong tree with your reward programme design? Go to any park and you’ll see a very strange phenomenon which I’ve heard called the ‘canine mini-me’ phenomenon. You know what I mean, the woman with the long flowing hair walking an elegant afghan, the short and slightly overweight man walking a pug . . . . you get the idea. To add to this, studies have shown that there is often a strong correlation between how owners and dogs act, having similar personalities and behavioral traits. Michael Roy, a psychology professor at the University of California, conducted a study where he showed separate photographs of dogs and their owners to a test group. 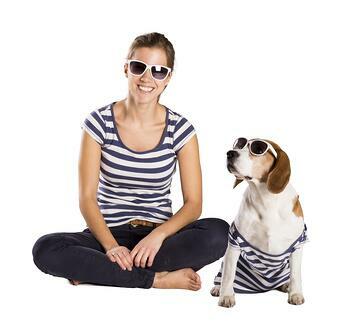 He gave them no clues, and asked them to match the photographs of dogs with their owners. He found that the group were able to successfully work out who lived with whom with reasonable accuracy simply on appearance. In another study, the participants evaluated dogs based on perceived personality traits, and then rated themselves on their perceived personality traits. The dog owners rated their dogs as having similar personalities to themselves in all five of the personality traits, with family members rating similarities in four out of five personality traits. Coren concluded that this match exists because owners consciously decide to get dogs or dog breeds that reflect their own personalities, as with the conscious decision made regarding looks. Question: If your employees were given photographs and descriptions of reward programmes provided at your company and of those provided at other companies, would they be able to correctly match them? I believe there is a strong connection between the findings of these studies and how we in HR should be developing and designing our reward programmes — your dogma (pardon the pun), if you will. If we want our employees to be loyal to our company in the same way a dog is loyal to their owner, we need to create reward programmes that have the right look and personality as both the company and our employees. Each company has a unique purpose and mission, something which provides a direction for employees to follow, the results and achievements desired, and answers the question ‘why.' Reward programmes need to align and support these, or they will not only drive the wrong performance, but will confuse employees as to which path and direction to take. Let’s look at a retail company who has a purpose and mission of giving customers an amazing customer experience. What would happen if the incentive programme was designed using KPIs (key performance indicators) based on sales alone? What would that say to the employees of the behaviours desired? Would they be so focused on selling that they ignore the customer service required to achieve the purpose and mission? Again, each company has their own values, which are the code of conduct a company aspires to live by. They inspire, unite and guide each and every employee in the company. Reward programmes need to align with the values or, similar to purpose and mission, they could drive the wrong performance or send the wrong message. I’ll use an example from my company, Reward Gateway, to illustrate this point. Our recognition programme using eCards is based on the company’s values, which means it is driving and rewarding behaviours and actions that align with these values. If these were not a part of the recognition programme then employees would could be confused as to which behaviours are desired and are being rewarded. Finally, reward programmes need to be developed to align with the company’s principles, whether it’s HR and/or reward principles. These principles are the foundation of what everything else should be built on or around. Too often companies ignore or toss these aside when designing their reward programmes, causing inconsistency or confusion. It would be like training your dog not to jump up on the couch as your principle is no animals on furniture, and then your kids let them jump up when you aren’t around (happens at my house all the time by the way!). Let’s say you have a principle saying that all employees are treated the same, and that you value everyone the same regardless of job level or tenure. What would happen if you put in a benefit programme that gives employees with more tenure a higher level of this benefit? What would this say to your employees when you’ve just told them through your principles that you treat them equally? To make sure your reward programme is the pick of the litter, put some thought into how it will be perceived from an outside perspective. 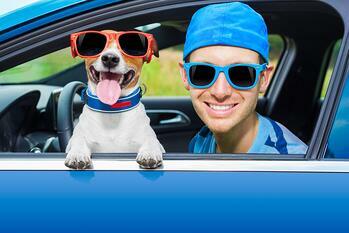 Will your employees choose your pup over others, or does it fade into the background? By aligning your reward programme with the look, feel and personality of your company, you’ll have a much greater chance of engagement. 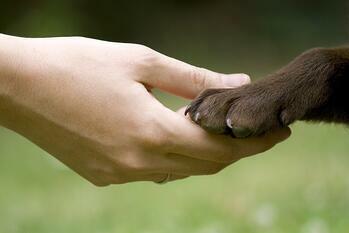 They say that dog is a man’s best friend. Don’t you want your reward programme to become your employees’ best friend, too?